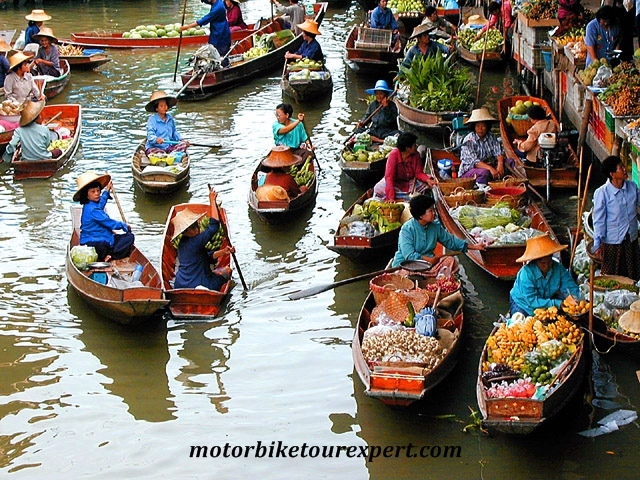 This Vietnam motorbike tour from Ho Chi Minh city is designed for riders who have short time for travel in southern Vietnam can have deep experience the Mekong River Delta and chance to enjoy great motorbike ride on coastlines. Day 1 : Ho Chi Minh city – Chau Doc: 220 km. 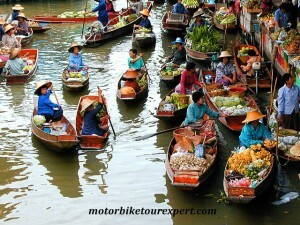 At 8:00 am, we start the motorbike tour from Saigon to Chau Doc – a busy town in western side of the Mekong river delta. Today’s ride is a great experience the funny and busy traffic in Vietnam, besides, some parts of the ride offers a great view of the large rice fields. 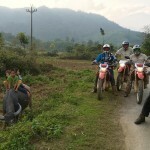 It’s big day but must be a memorable day of motorbike tour in southern Vietnam. Arrive Chau Doc at around 5:00 pm. Getting up early to take a boat trip to Cai Rang floating market – one of the most famous and busiest fruit market in South Vietnam because the market opens very early and then get back to hotel for checking out and have breakfast before motorcycle to Can Tho city for a short visit at Can Tho central market and Binh Thuy ancient house whose design is a combination of Vietnam and France with interesting involved stories but also a garden with various flowers and fruits, including a wide range of orchids and a record cactus. After that it’s a beautiful motorbike tour through the Mekong delta to Ben Tre. Finish the day at 4:30 pm in a peaceful village in Ban Tre. Home stay. Enjoy simple breakfast with friendly family. After saying good bye to them, we will take a rowing boat trip on small waterways. Experience the true life of the delta region as you visit its fruit orchards, coconut groves, Bee farm and enjoy honey tea, seasonal fruit, fresh coconut candy and southern Vietnamese folk music. After breakfast, pay a visit to Dam historical mountain and Long Phuoc Tunnels. Then motorcycle to Phuoc Hai hamlet, this is one of the most beautiful coastal road motorcycle tour in Vietnam, the road is between mountains and beaches. 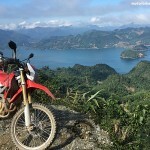 After lunch in Phuoc Hai, keep motorbike touring on coastlines passing quiet pine forest of Loc An and we arrive Binh Chau hot spring, take a mud bath and relax on Hot Spring Lake . 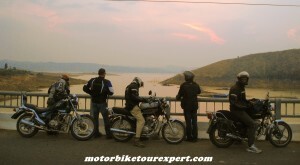 Afternoon, enjoy a great motorcycle ride to beautiful beach Mui Ne. Finish the beautiful motorbike tour on coastal roads in south Vietnam with having a swim at Mui Ne beach. After breakfast, Back on our motorbike and ride forwards to famous Mui Ne Cape. On the way, pay a visit at the Fairy stream, then pause to discover the fishing village of Mui Ne and further on is the enormous red sand dunes. Continue your motorbike tour to Ho Chi Minh city and do some stop at fishing villages to discover how fishermen doing the daily work: net fishing, selling fish, mending fishing net. We will be back to Saigon and finish great motorbike tour Mekong delta and coastlines at about 5:00 pm. Please contact and tell us which kind of bikes you would like to ride and how many people in your group then we will tell you the right price of the tour!